“I expected a couple of JBLs beside a TV or something like that,” admits Smye. “But, basically, the bass bins that would later be in Footwork were laid out flat across Steph’s bedroom floor. He had to crawl over them to get to his bed. Joel Syme (left) and Stephan Philion. Photo by John Mitchell (http://derinkuyu.ca/). At the time, 99 was still operating as a film studio, with occasional late-night parties. Philion and Smye had success with theirs, and came to manage the studio’s bar on weekends from 2003 to 2005. 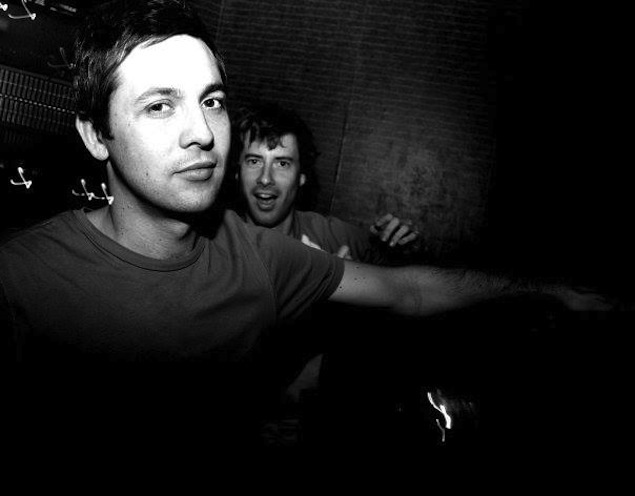 Smye DJed a lot, and the pair booked in underground house and techno DJs and promoters like Mike Gleeson, Mat Lunnen, Lee Osborne, and Fukhouse. They lost the space when 99 Sudbury landed a year-long film contract. As luck would have it, two regulars at Brassai frequently asked the duo about their parties. “I think it was the same week that we were out of 99 that they said, ‘You know, we have this space that’s right around the corner. We just changed the locks, everything is up to code, and the liquor permit is in place—you’d just have to come and make it your own,’” recalls Smye. Previously, the basement at Adelaide and Brant had housed piano bar Cry Baby, and dance club The Matrix before that. Initially, it didn’t feel like the right space for Smye and Philion, especially with its many windows that looked onto Adelaide. “Then we came up with the idea of flipping it around, and having the entrance be from the alley, while boarding up the windows to make that half the dancefloor area,” Smye recounts. After a month-and-a-half and “a curbed rent so we could have the opportunity to start out as cheaply as possible,” the two opened Footwork Dancebar in May of 2005. They launched in a rapidly changing area. Soulful-underground-house club Roxy Blu, located across the street on Brant, would close that July, replaced by an upscale restaurant. Trendy spots like Brant House and Century Room were new to the neighbourhood. Footwork was different. Not only was it located in a nondescript office building, the entrance was down an unmarked alley on its south side. Equally disorienting on first visit was the short maze of a hallway you stepped into. 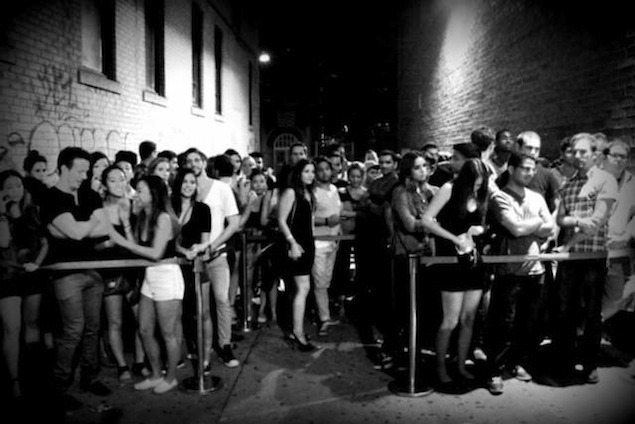 Often jammed with people both entering the club and exiting to smoke, the hallway was soundproofed and painted black. Senses kicked into overdrive upon entering the pulsing main space. There was a lounge area and some seating, but Footwork was about two main things: music and dancing. Photo courtesy of Jonathan Rosa. 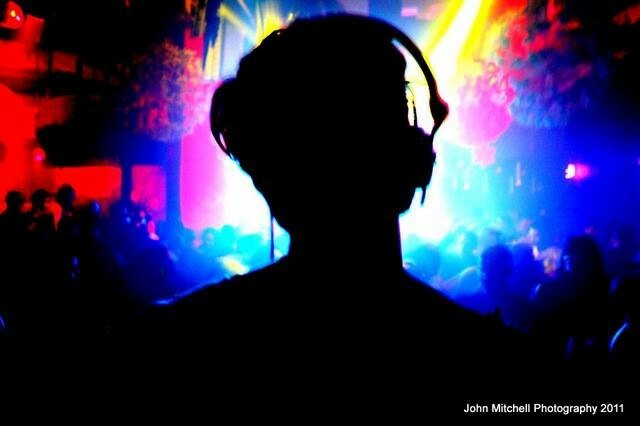 Still, they worked to bring warehouse sounds and DJs to a licensed club, with mixed results. “We had a bit of cockiness to us, I think, when we opened because we had done 99 Sudbury for a couple of years, and it was successful,” says Smye. “When we were there, it was really easy to get people to come out, for obvious reasons. Though the Activate crew had some success promoting Wednesdays, and occasional Thursdays were busy, Footwork soon opened on weekends only. While legal capacity was only 255 people, they rarely reached that. “The first year was rocky,” shares Smye. “It was off-and-on, which left us scratching our heads a little. Addy at Footwork. Photo by John Mitchell (http://derinkuyu.ca/). 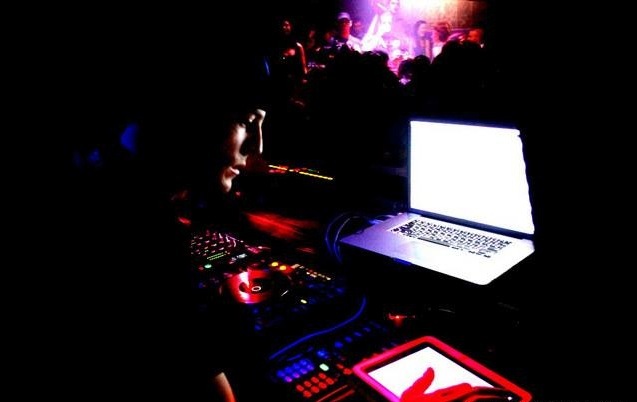 DJing professionally since the late ’90s, Addy Ranh had held residencies at clubs including The Guvernment, System Soundbar, Film Lounge, Turbo, Tonic, and Mad Bar. He knew Joel from Hamilton clubs, and fell for Footwork on first visit. “I loved its high ceiling, alleyway entrance, and great owners who truly understand the culture,” says Ranh, who’d proposed Domestic Fridays, with a focus on local talent. Main residents included Addy, Deko-ze, Carlo Lio, The Junkies (then called Vinyl Junkies), Sydney Blu, Nathan Barato, and Joee Cons. Domestic was busy from the start. Perhaps the former UFC champ was lured by Domestic’s tough sound. “Fridays’ sound was clubbier,” Smye says. 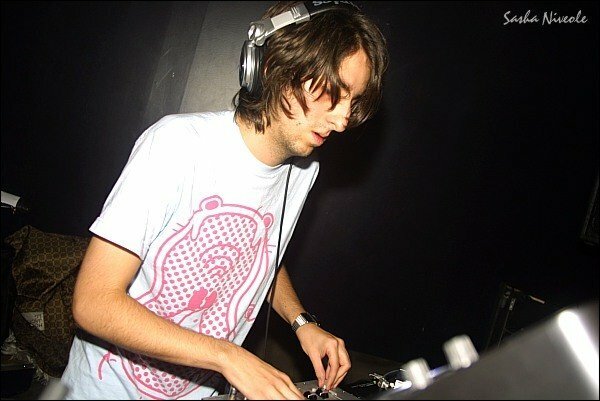 “Its DJs played at places like The Guvernment and Comfort Zone, and had more of that pumping, hard-house vibe, which is also kind of a Toronto sound. Carlo Lio (left) and Nathan Barato a.k.a. The Roaches at Footwork. Photo by John Mitchell. 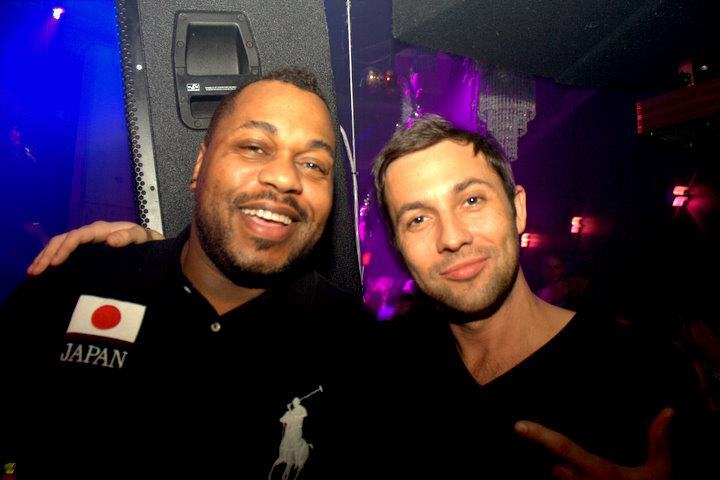 To do so, Smye and Philion worked with a variety of promoters on Saturday nights. 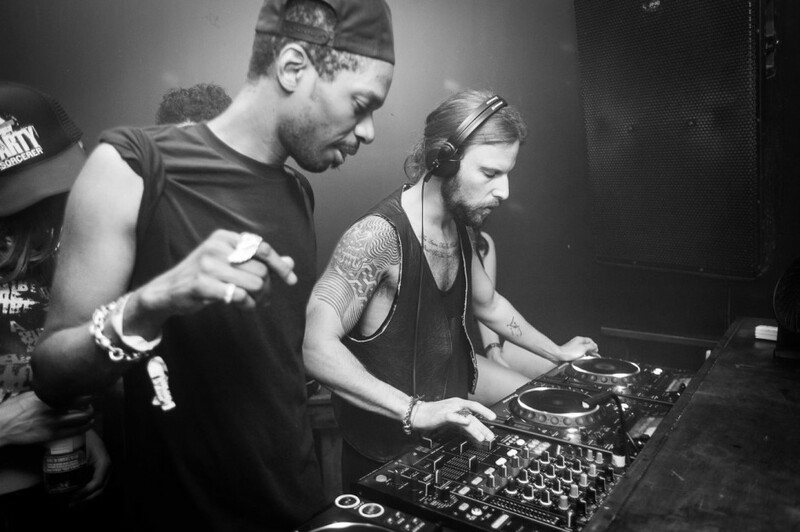 Each brought their own sonic specialty, like Fukhouse for techno, Vunk for progressive house, and Nine for funky Chicago house. 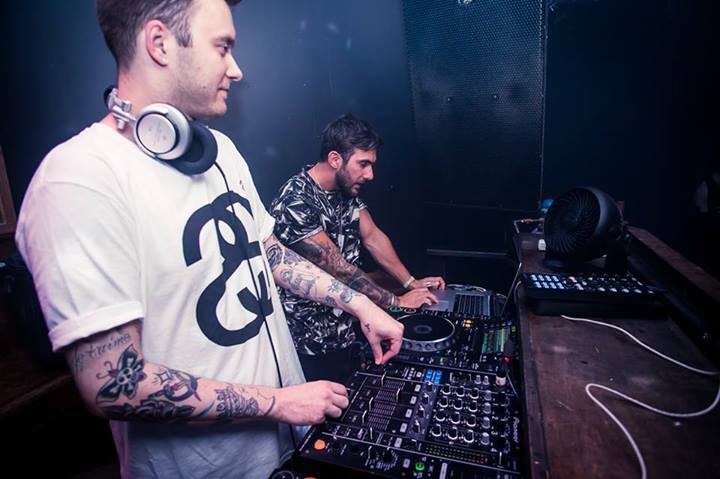 After Nine folded, its main resident DJ Mike Gleeson launched Bounce with Justin Riva. Like Gleeson, Michael Babb a.k.a. 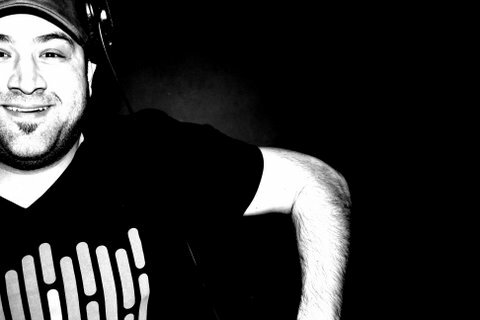 DJ/producer Deko-ze was one of the earliest DJs to play at Footwork, and was impressed. “Excuse my crassness, but I got an erection when I first saw the DJ booth,” says the notoriously forthright Babb, a veteran of the country’s top clubs and raves. 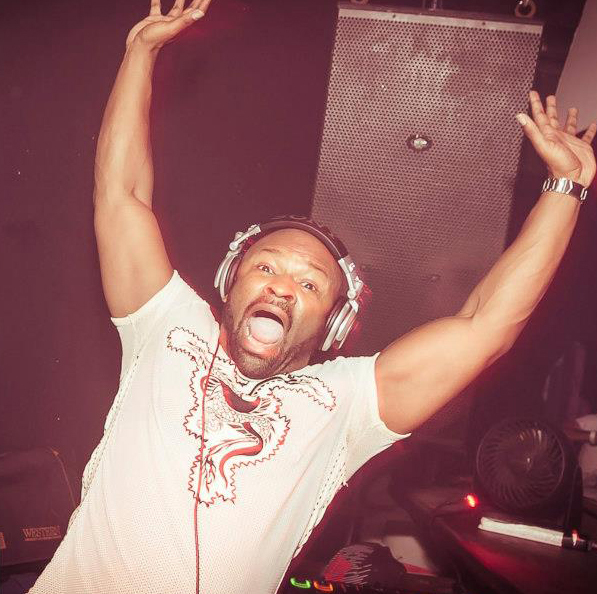 As a result, the skilled and energetic Deko-ze would go on to spin his chunky sounds at Footwork throughout the club’s history, even hosting annual birthday and Christmas specials. Stephan Philion. Photo by Sasha Niveole from Purple Tree Photography. Philion and Smye, in fact, got a whole lot of things right at Footwork, including sound and lights. Lighting was simple, but effective while sound was rich and full. The system always sounded tuned. The club’s size and floor plan also worked to its advantage on many fronts. Jonathan Rosa. Photo by John Mitchell (http://derinkuyu.ca/). 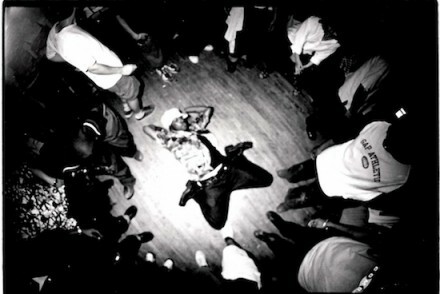 Footwork also gained a reputation for its audience. Put simply, it felt good to be in a room where you could trust that most people there also wanted to get lost in the music. Footwork crowd early in the club’s history. Photo courtesy of Jonathan Rosa. “Footwork was a music-focussed venue, from the programming to the people who came there to dance,” says Smye. “This created a vibe that was different from a lot of other clubs. Footwork’s Domestic weekly was the globetrotting house and tech talent’s “first real residency in the city.” Even as his popularity soared, Lio continued to guest at the re-branded Fridays (Rehab and then Luv This City), open on some Saturdays, and produced parties including UNION, a hugely popular collaborative gig also featuring Footwork favourites Nathan Barato and The Junkies. Union flyer courtesy of Jonathan Rosa. Footwork’s commitment to Toronto electronic music talent has been key to the careers of many who now tour the world. In addition to Lio, Barato, The Junkies, and Sydney Blu, people like Jamie Kidd, James Teej, My Favorite Robot, and Art Department come to mind. Nitin now tours regularly, and is at work on his debut album. 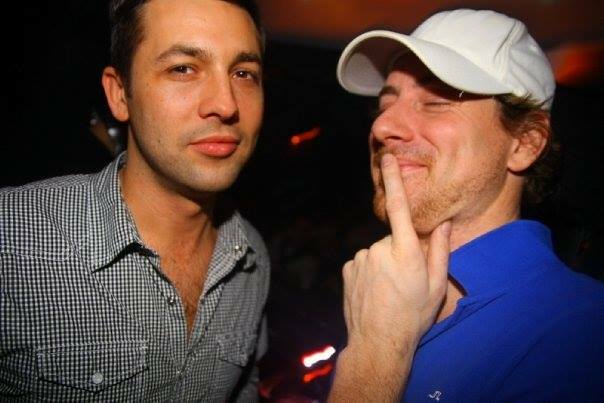 Addy is also known as a producer, having released music on labels including Toolroom, Hot Fingers, and Younan Music. 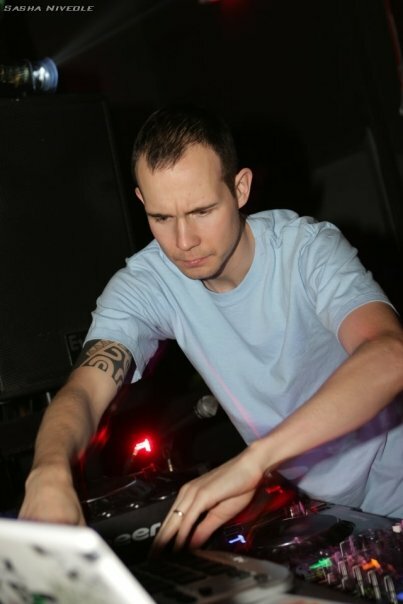 Rosa and fellow Footwork resident DJ Jeff Button are among the many other Footwork-affiliated names that have begun to rise. With its small size, and dedicated following, Footwork was also well-positioned to present emergent sounds and artists. Saturdays, in particular, reflected shifts in underground house and tech. 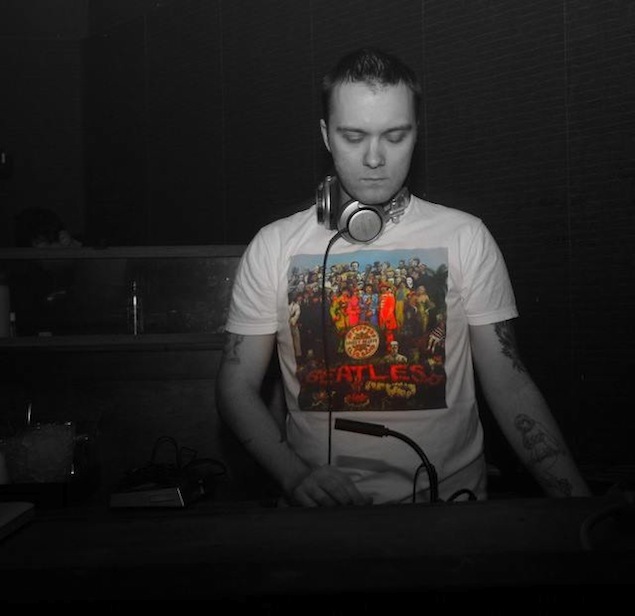 An example is following the No.19 lead to slowed beats, as Footwork did when they teamed up with Jazz Spinder to present the Modern Love Affair series. “There was this new sound coming up – deeper, with a slower tempo—and a lot of the artists weren’t yet well known or well-received in Toronto, even though it was getting really big elsewhere in the world,” says Smye. 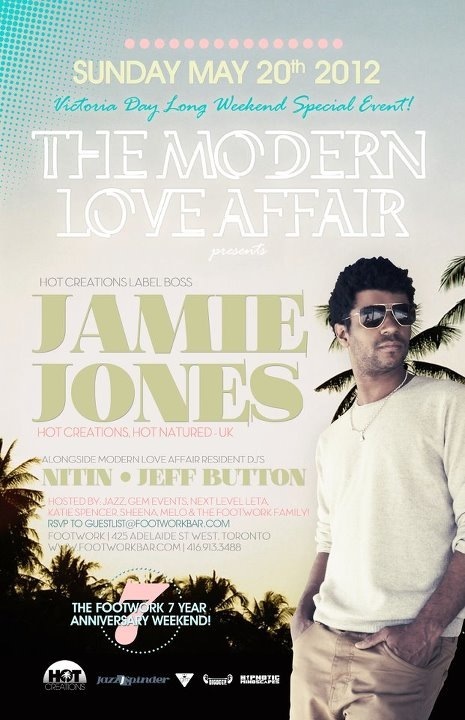 Modern Love Affair flyer courtesy of Jonathan Rosa. The club did gain a surprisingly large international rep given its relatively small size. Footwork even clocked in at number 36 in last year’s Top 100 Clubs list compiled by DJ Mag. A packed Footwork crowd. Photo by John Mitchell (http://derinkuyu.ca/). 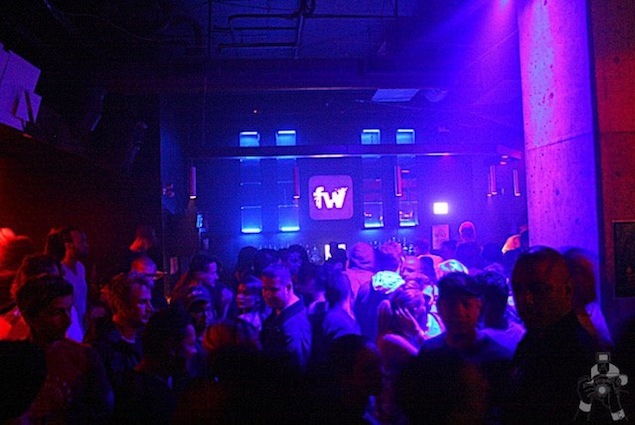 Who else played/worked there: Several hundred local and international DJs graced Footwork’s booth during the club’s eight-year-run. Everyone I speak with has favourite memories. “Lee Burridge, hands down, every time,” agrees longtime clubber and head Footwork bartender Kellie Nelles. 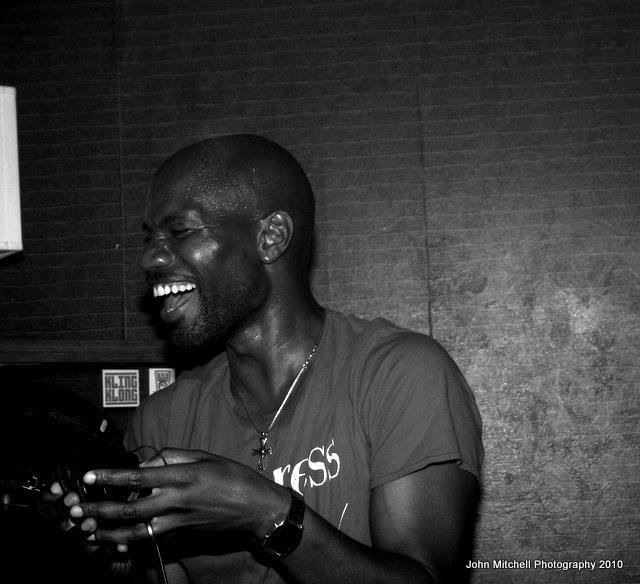 “He’s a killer DJ, an amazing spirit, and just fun all around. 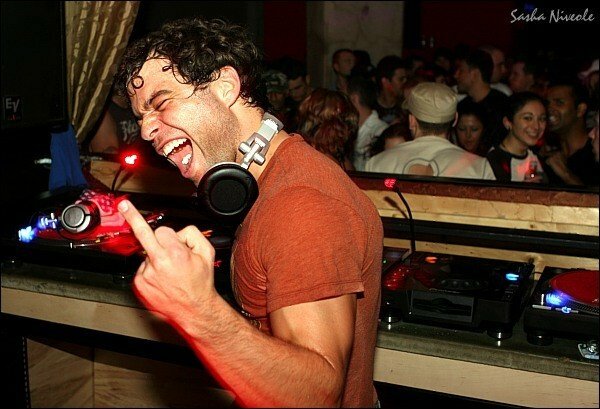 I won’t forget the time Lee DJed from the dancefloor. 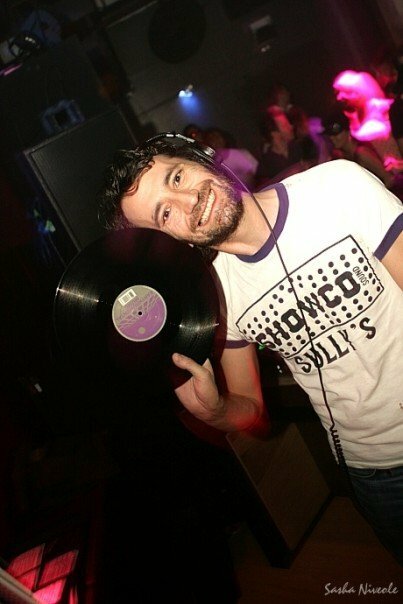 While Nelles also makes mention of Dubfire, Steve Bug, Jamie Jones, Derrick Carter, Lee Foss, and Stephan Bodzin, many people highlight Danny Howell’s Footwork debut. 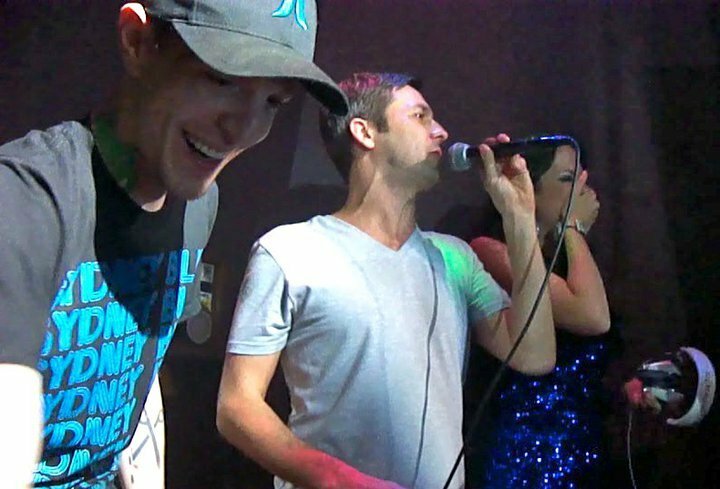 “Danny was booked to play open till close, so from 10 p.m. to 5 a.m.,” Smye says. “We came up with the concept of doing a cocktail hour from 9-10 p.m., with no music on whatsoever. But Danny’s records got lost at the airport, and I was there trying to get him. That could have been in February 2007, on the night that AD/D presented Britain’s Switch, a.k.a. Solid Groove. “Switch’s laptop kept shutting off in the middle of a track, and every time it stopped, that just made people go even crazier,” adds Gleeson. “I’ve never seen people dancing on the bar, and those narrow, six-inch-wide drink ledges before. Between that, and the slow torrent of condensation raining down from the ceiling because of the heat, I can’t recall a more intense night! While other promoters, including HouseAddict, Boogie Inc., I/O Productions, Box of Kittens, and Embrace all presented multiple shows at Footwork, one promo crew especially stands out on the Saturday-night front. 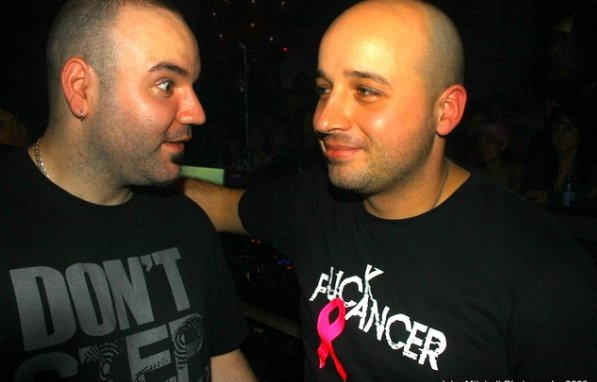 Platform, a partnership of longtime promoter Alex Mastro and DJ/producer Jeremy Kesten, a.k.a. 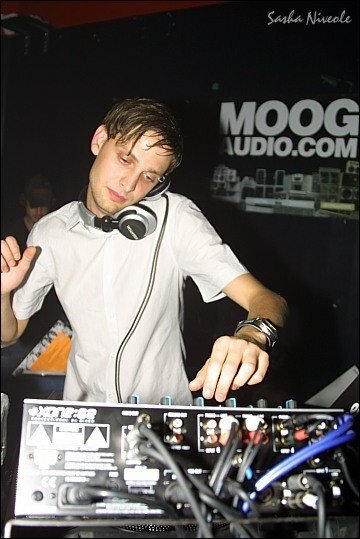 Jeremy K, presented more than a hundred techno and tech-house events at Footwork, beginning in 2007. Like the Footwork founders, Mastro and Kesten have ears tuned for high-quality sounds rising from the electronic-music underground. “We did events more frequently, and gained some real momentum with Footwork, in the final few years,” says Mastro. “We created a strong bond with the owners, the patrons, and especially the DJs. When artists tell their agent, ‘This is the club I want to play because I know it will be an amazing show,’ it helps to secure better bookings. “There were many memorable nights, and some that got totally crazy. 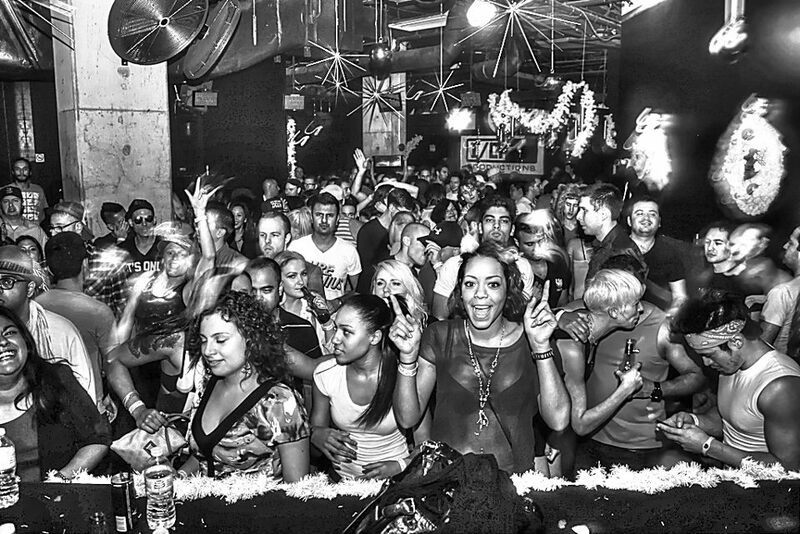 Marco Carola played a year ago, the night after he played the Hurricane Sandy relief charity in New York put on by Leonardo Di Caprio. Footwork was at capacity by 9:15 p.m., before we normally even open. More recent Platform presentations included Mano Le Tough, Dixon, and Hot Since 82. Parallel to this ran Footwork’s frequently mentioned community mindset. “Footwork’s greatest aspect was its family-oriented environment,” asserts Lio. “We all know this is a cutthroat industry, and people will step on each other to get ahead. But it wasn’t like that with this crew. We all wanted to grow together, and wanted to see everyone do well. It was inspiring, to say the least. Bartenders Veronika Sparkles and Dave Collier. Photo by John Mitchell. Nelles, who first worked at 99 Sudbury, bartended throughout Footwork’s history. She was joined early on by Jamie Miller and Erin Allaby. Carl Barnes (left) and Rafwat Shauki. Photo by Marko Kovacevic, courtesy of Jonathan Rosa. 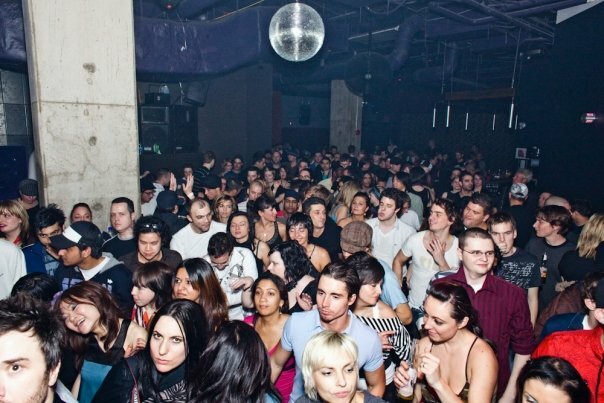 What happened to it: In a twist that speaks both to Footwork’s success, and the health of Toronto’s electronic-music underground, the club closed last year largely because it got too busy. A new home became necessary. 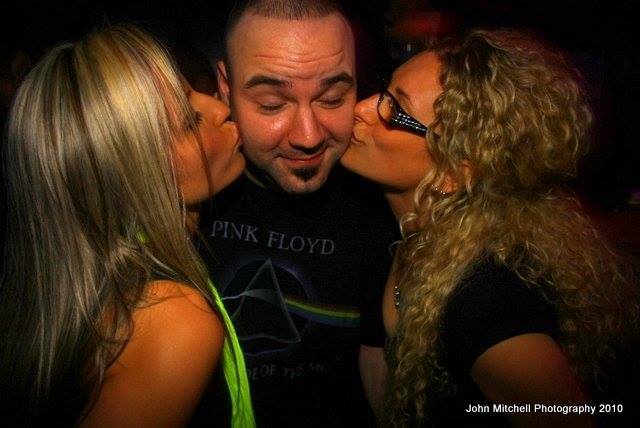 The King West crowd had found Footwork, as did new generations of clubbers. 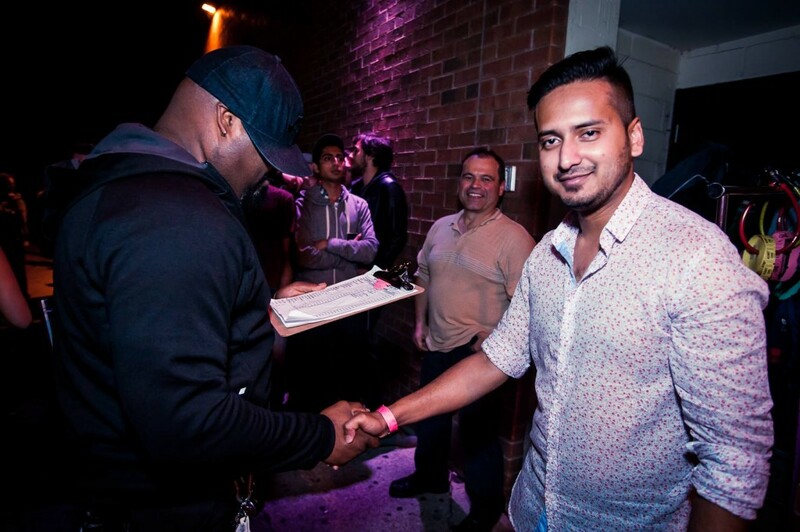 Many went to the club for the first time when it held afterparties related to the Digital Dreams and VELD Festivals. “There was definitely an influx of new kids who were introduced to the music through [the mainstream success of] EDM, and found their way to us,” says Smye. The last year at Footwork was its busiest to date, so it did come as a shock when the closure was announced last September. Smye, however, says he and Philion knew they wanted to start anew as far back as three years ago. Footwork closed with an incredible two months of programming, with guests including Lee Burridge, Chus+Ceballos, Marcel Dettman, Miss Honey Dijon, Benoit & Sergio, and Hot Since 82. 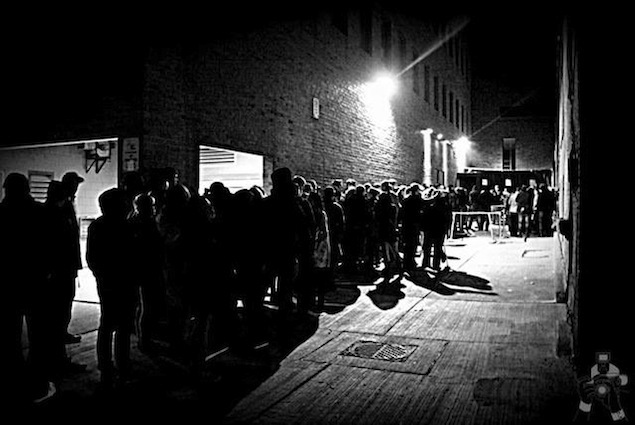 The line-ups outside of Footwork during its final night. Photos by John Mitchell (http://derinkuyu.ca/). The final weekend of Oct. 18-19 was fully devoted to local talent. Deko-ze played as part of the Last Dance, and greeted Footwork’s closure with a mix of sadness and optimism. 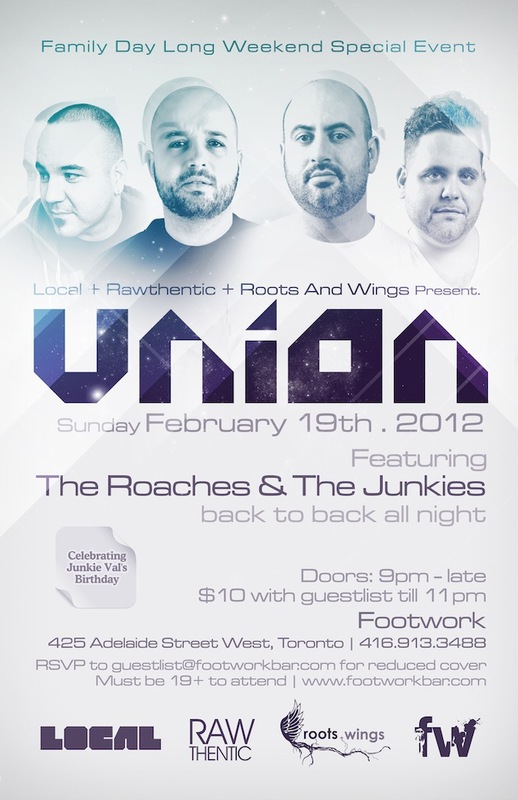 Also in October, it was announced that Footwork had purchased the club space at 794 Bathurst, formerly Annex Wreckroom. Their first party was Oct. 26. “The last month at Footwork was especially epic,” adds Rosa, who, along with core staff like bartender Nelles and security head Barnes, moved to the new event space, now known to the world as CODA. 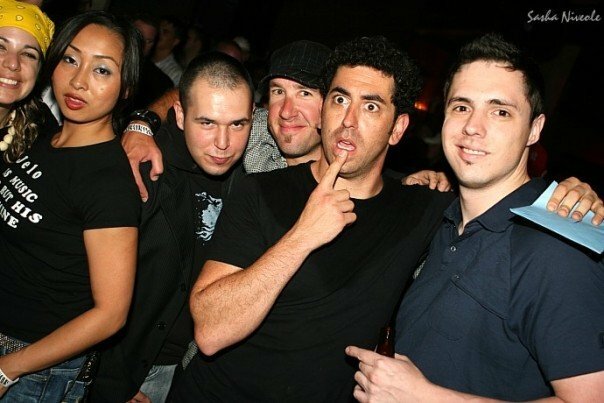 Joel (left) and Steph, then of Footwork and now of CODA. Photo by John Mitchell (http://derinkuyu.ca/). CODA opened Jan. 18 with Art Department, and has featured impressive bookings each following week. Attendance has been high, and the reception positive. With a capacity double that of Footwork, a stage that allows for live shows, and a new floor that adds some bounce for dancing bodies, CODA has the bases covered. Smye tells me they plan to program a variety of sounds, with live shows during the week and electronic music on weekends. Former Wreckroom head honcho Mark Atkinson was also hired as CODA’s General Manager. Upcoming CODA events include Sydney Blu this Friday (Feb. 14), Yes Yes Y’all’s fifth anniversary (Feb. 21), Soul Clap (Feb. 22), beatboxer Beardyman (Feb. 27), and a Stones Throw special featuring Peanut Butter Wolf and JRocc (March 6). No matter the music, it will be heard through a high-calibre soundsystems built and installed by PK Sound. Owner Paul Magnuson counts himself as a fan of Footwork. “It’s always sad to see a place this close to your heart close its doors, but everything does come to an end,” reasons Lio, who soon has releases coming out on Carl Cox’s Intec and Loco Dice’s Desolat in addition to remixing Audion for Spectral Sound. The former Footwork space at 425 Adelaide St. W. will soon reopen as The Ace Lounge. Owner Jack (no last name provided) did not care to confirm any further details. 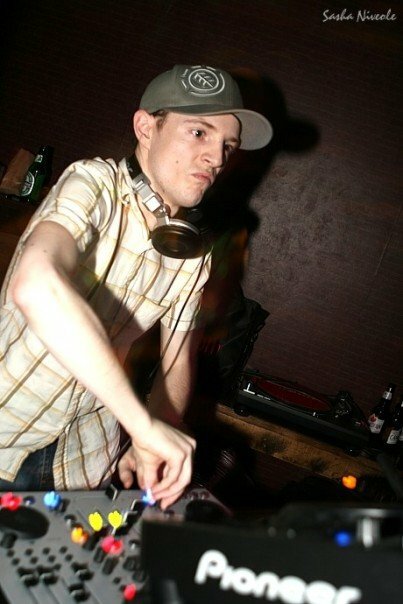 Addendum: inspired by this Then & Now story of Footwork, Toronto DJ Jeff Button and his DigDeep project compiled all of the live sets recorded at the club that they could find on Soundcloud. Enjoy many hours of listening below. Thank you to participants Addy Ranh, Alex Mastro, Carlo Lio, Joel Smye, Jonathan Rosa, Kellie Nelles, Michael ‘Deko-ze’ Babb, Mike Gleeson, Paul Magnuson, Stephan Philion, and to John Mitchell, Sasha Niveole and Jeff Button. Very well written article that, Im sure, will take many people back on a journey. As was often the case, the atmosphere at FW was intoxicating in itself, and the music took you left, right and centre. 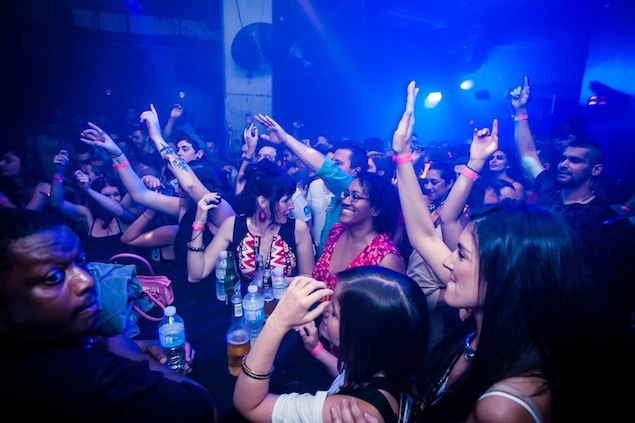 This article consistently reiterated the spirit of the club in such a great way: the music and atmosphere’s reciprocal contribution to the relationship of the DJ and partygoers with one another. Unity inclusive of music. At the end of the day, that’s what it was all about, and I am sure I speak for many by saying we had many incredible times at this (often described it people ‘not in the know’ as a) hidden gem. As the article highlighted, Footwork was the ‘go to’ for it’s crowd who ‘knew their music’. 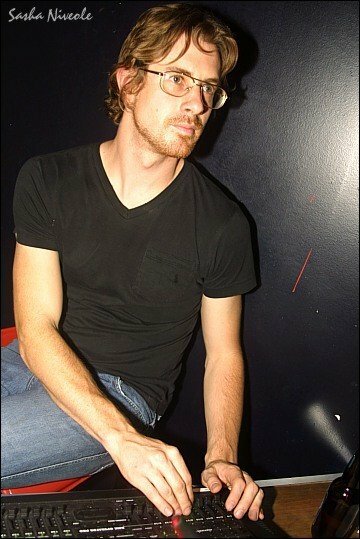 What it did so well at setting itself apart was it’s ability to seduce patrons and DJs to attend in hopes of being taken on a journey where new, unheard sounds and new vibes would be demonstrated and experienced… This concept distinguishes itself drastically from what mainstream clubs offered. Mainstream was and still is largely about playing the anthems that people know and can sing and dance along to. Footwork was the pioneer in musical education and, as the article mentioned, the ‘venue to get lost in the atmosphere of the music’. They set the precedent, had great team players who supported their common goal, were pivotal in Toronto’s underground music culture’s growth, and the memories from their past will comfort many as they continue to move forward.